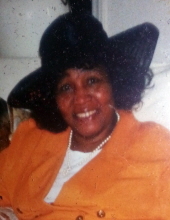 Betty Jean Lazenby, 81, of Lusby, MD passed away on March 23, 2019 in Prince Frederick, MD. She was born February 28, 1938 in Adelle, GA. She was the daughter of the late Martha Lee Smith and the late Willie James Floyd, Sr.
Betty is survived by her children, Willie James Floyd, Sr. Betty is survived by her children, Willie Ruth Lazenby, Charlene Thomas, Jackie Lazenby, Thomasine Leenora Davis, Thomas Lee Davis, Jr., Theresa Ann Jones (Robert); sister, Martha Jefferson (James) and her lifelong companion, Thomas Lee Davis, Sr., 15 grandchildren and a host of great-grandchildren, nieces and nephews. Betty was preceded in death by her siblings; Luise Floyd and Willie James Floyd, Jr., daughters, Charlotte Ann Tabansi, Sheila Luise Franks and Anita Lazenby. To send flowers or a remembrance gift to the family of BETTY JEAN LAZENBY, please visit our Tribute Store. "Email Address" would like to share the life celebration of BETTY JEAN LAZENBY. Click on the "link" to go to share a favorite memory or leave a condolence message for the family.